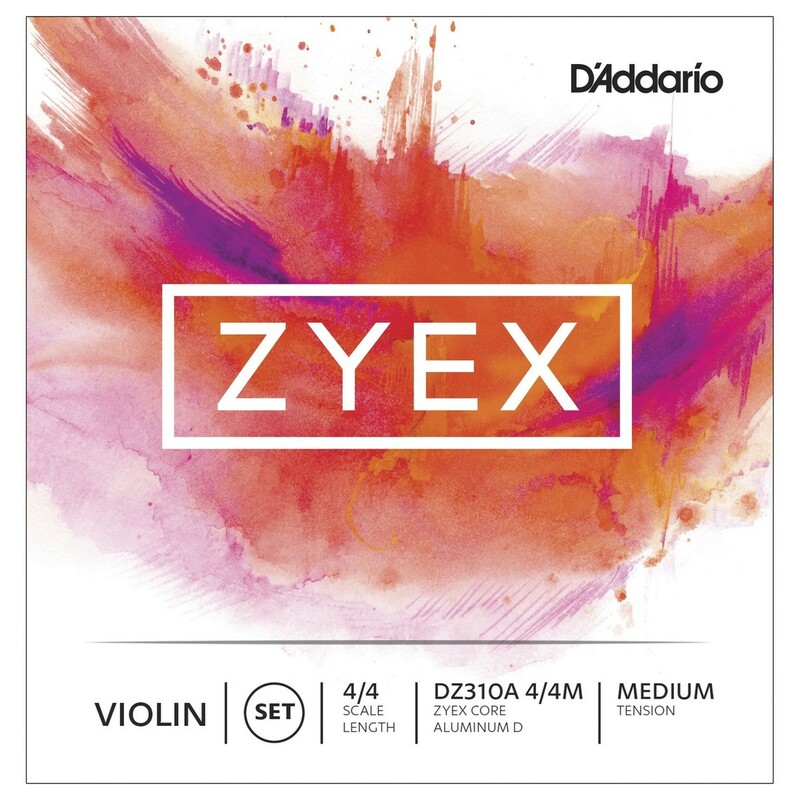 Daddario Zyex Composite synthetic core strings produce an extremely warm, rich sound. Zyex is a new generation of synthetic material, creating strings that are extremely stable under drastic climatic conditions. Zyex strings settle in on the instrument very fast, within a matter of hours. Zyex has a warmer sound than most other synthetic core strings, and they have excellent projection, making them exceptional for soloistic use as well as symphonic. Sized to fit 4/4 scale violin with a playing length of 13 inches (328mm), medium tension strings are optimized to the needs of a majority of players. The D string included with the DZ310A set is aluminium wound.